In Europe and beyond the Atlantic, there is again a wave of populism and rhetoric that is threatening and questioning our democratic values, Bulgarian Deputy Foreign Minister and National Co-ordinator for Combating Antisemitism Georg Georgiev said on January 27, marking the International Holocaust Remembrance Day. “History has a habit of repeating events. We as heirs have a responsibility to not again allow regimes such as fascism, national socialism and communism,” Georgiev told a briefing at the Bulgarian Ministry of Foreign Affairs. Seventy-six years ago, Bulgaria managed to write in gold letters with the rescue of the Bulgarian Jews, he said. But now, “we are witnessing an extreme war of populism and rhetoric that jeopardises democratic values,” Georgiev said. The government was committed to acting against all acts of vandalism, like daubing on monuments, “broken glass, like the case at the Sofia Synagogue a week ago”, swastikas, expressions and messages that instigate the language of hatred,” he said. In a message on Twitter, Bulgarian Foreign Minister Ekaterina Zaharieva said: “Let us never forget the six million innocent souls that perished in the #Holocaust, let us challenge prejudices and hate and ensure that it will not happen again”. On January 27, the Organization of the Jews in Bulgaria “Shalom” was joining in a worldwide initiative to screen the film “Who Will Write Our History“. The premiere is part of a global event in which the film is being screened in a single day in more than 200 venues in 40 countries. 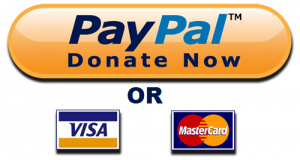 The partners in the initiative include Unesco, Mémorial de la Shoah, the World Jewish Congress, the United State Holocaust Memorial Museum and the USC Shoah Foundation. 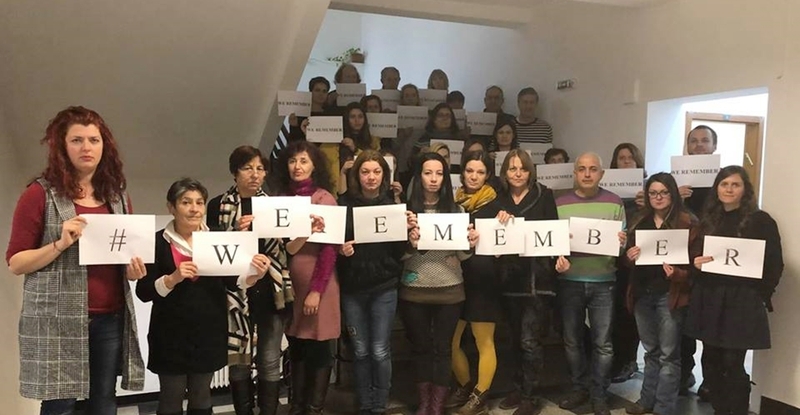 In 2019, the Organization of the Jews in Bulgaria ‘Shalom’ again has associated itself with the #WeRemember campaign. In the photo immediately above, Shalom chief executive Julia Dandolova, Israeli ambassador Irit Lilian, the head of the Central Israelite Religious Council, Sofia Cohen, and Shalom president Associate Professor Alexander Oscar. Photos via the Facebook page of Shalom. On January 27, the head of the Bulgarian Socialist Party group in Sofia city council, Kaloyan Pargov, and the deputy head, Professor Vanya Dobreva, were scheduled to lay flowers at the Soviet Army Monument in the Bulgarian capital city, in memory of the victims of the Holocaust and in tribute to all who fought for the victory over fascism. On Facebook, Tsvetan Tsvetanov, deputy leader of Prime Minister Boiko Borissov’s GERB party and head of its parliamentary group, made public a letter from Shalom expressing gratitude for the parliamentary group’s action in properly commemorating International Holocaust Remembrance Day. 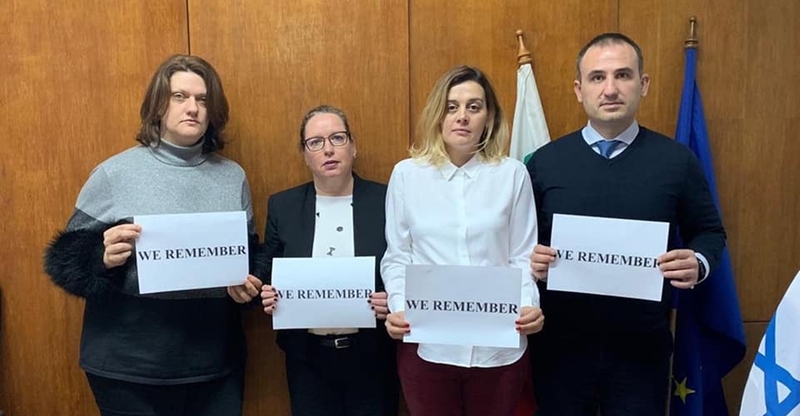 On January 25, members of the leadership of Bulgaria’s National Assembly associated themselves with the international #WeRemember campaign, while the same day, GERB tabled a declaration marking International Holocaust Remembrance Day.